Writer-director Rian Johnson’s The Last Jedi is a spectacular addition to the Star Wars saga that features an abundance of loving call-backs to the original trilogy while taking the series in an intriguing new direction. And now author Phil Szostak’s latest book, The Art of Star Wars: The Last Jedi, has given me the chance to dive behind the scenes of the blockbuster movie and see what went into developing its characters and the world they inhabit. Szostak’s hardback book is an utter pleasure to peruse from start to finish, with over 250 pages brimming with amazing insights and 300 gorgeous colour illustrations. Taking you right inside events on the Jedi Temple island, the Resistance and First Order ships, Canto Bight, and Crait, The Art of Star Wars: The Last Jedi gives you a real feel for how the locations and their inhabitants, both human and alien, were created and developed. And it even shows you how the film changed over the course of development, including the introduction of new characters including Kelly Marie Tran’s Rose Tico and Benicio del Toro’s DJ. If you’re looking for concept art, sketches, and storyboards, then you’re in exactly the right place because this book has them in abundance. Yes, whether you’re into droid and creature designs, costumes and characters, ships and other vehicles, or locations and set designs, you’ll find a stack of visual and written information to keep you entertained. All of which means you’ll gain a deeper knowledge and understanding of the finished film. 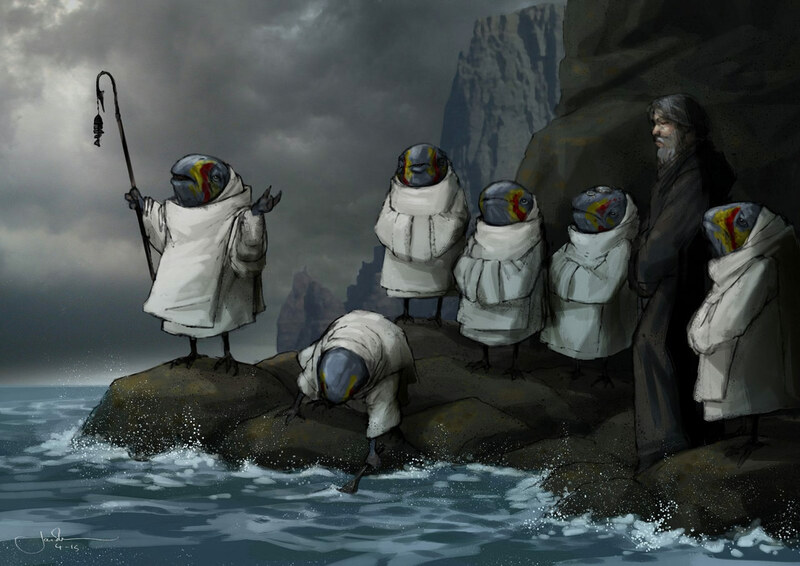 For instance, there are excellent images and details about the Jedi Temple and the cryptic mosaic of the Prime Jedi, as well as the Caretakers who guard the island. And we also get a wonderful sense of the man behind the hologram, Snoke, and the decisions that went into producing not only The Supremacy as a whole, but also his guards, his throne room, and his attire. And if you felt like your view of the casino and its clientele was all too fleeting and you couldn’t quite take it all in when you watched the film, then you’re in for a treat as there’s an array of art and info to quench your thirst when it comes to Canto Bight and its luxury resort. 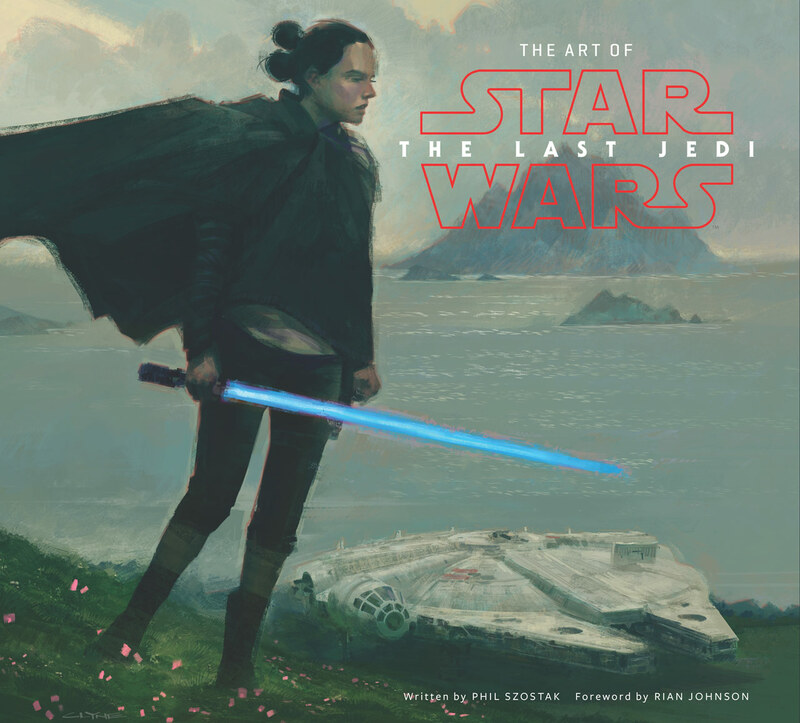 To sum up, The Art of Star Wars: The Last Jedi is an incredible companion that takes you on a mesmerising journey behind the scenes of the movie. It’s packed with beautiful concept art along with fascinating facts and insights from the film’s creators. All of which makes it indispensable when it comes to fully appreciating everything that went into making Rian Johnson’s superb movie.